1. Solitaire Chess is now available for Android users. 2. 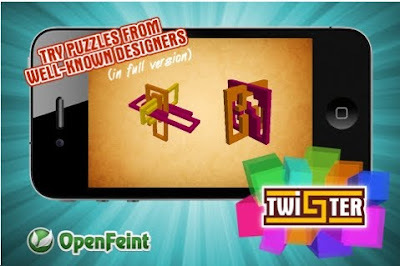 Which leads me wondering: are there any puzzle apps that is available for Android and not for the iphone & ipad? Let me know! Ajit Rao has come up with a challenging, fun, brilliant, original set of puzzles. The object: move the blue orb to the big blue dot. Note; the blue & red dots are linked. If the blue dot moves up, so does the red. To change the distance between the blue & red dots: move one of the dots next to one of the force fields. There are 50 levels. I have solved 38 of them. Highly recommended. There is a free version called Duality Prime with 8 levels. TipTapTop - also known as T3 - is a puzzle app for kids. Tap on 2 images to make them swap and restore the photo to order. Patrick Shirkey from Iguana Productions Company made this. 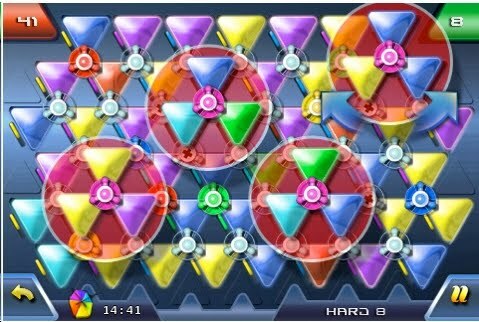 Move gems round a board and see how they interact to help (or hinder!) clearing gem-homes. No time limits, no random scoring – what you do is what you get! And this is a game where low scores are best. Minimum moves gives a Gold, nearly-minimum gives Silver and there’s Bronze if you clear a level but take a few extra moves to do it. And get creative. 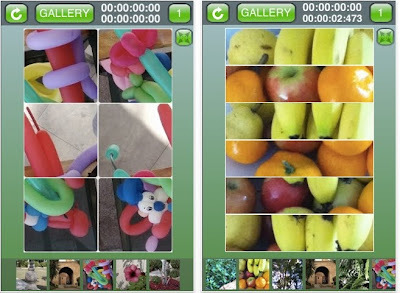 Whether or not you clear any of the 120 set levels, you can Create your own levels and Export them to your photo albums so you can share them with your friends as you would any other picture. Email them, put them on your website, Facebook, whatever, so they can Import your level into their game. 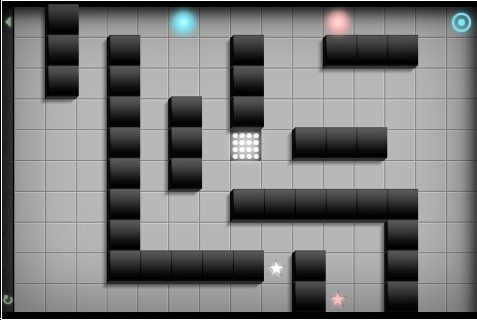 Will you devise the most fiendishly tricky level yet? Mortal Coil is similar to many other puzzle apps: there is a tilt-maze aspect combined with a topology problem of filling in all the squares with one unbroken string. 400 challenging levels. Nobody has solved more than 390 of these. I've done 38 - in about 1.5 hours. One of this blog's followers pointed this unknown app out to me. It came out in 2009. $1.99 is a bargain for this gem. Adam Miller & Erich Friedman are the brains behind this. 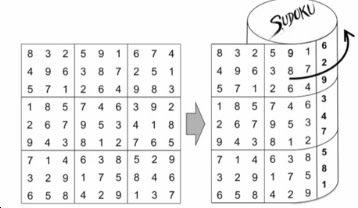 Does the world need another variation on sudoku? No! But this one is so fun, I spent about 1.5 hours on it yesterday. Object: make a Latin Square so that each row & column uses the #s 1-4 or 1-5 & 1-6 for the larger grid sizes. The inequality signs must be true for adjacent squares. 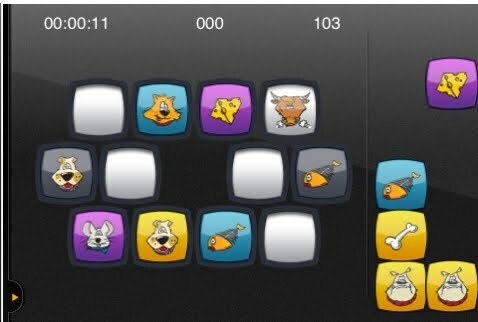 Download this for free - you get 10 levels. $1.99 for 150 more levels. Totally worth the money. Fun! 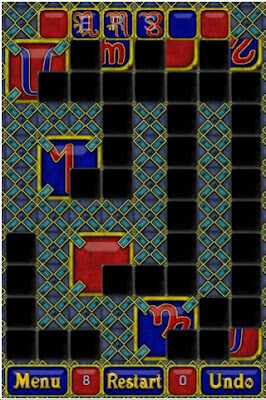 We've seen many version of this type of puzzle. 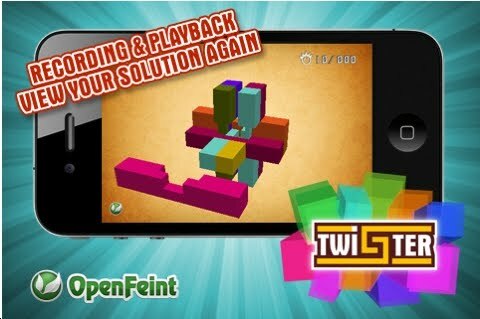 The makers of Tippy Tower contacted us yesterday with great enthusiasm. Tiago Loureiro is the author. I downloaded the free version & solved the first 12 levels. The graphics are sleek. Pieces can be picked up and rotated: this requires using a second finger. Some people may find this incredibly fun. My taste lies more in the cerebral puzzles. However, this puzzle app does require strategic planning. Give it a shot! Twister 3D is a series of take-apart puzzles. 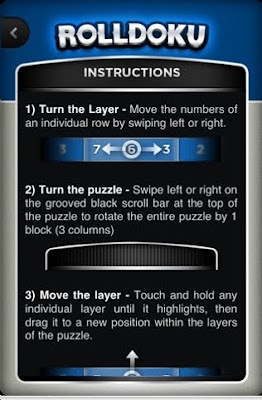 I tried this on my ipod touch and was a bit frustrated. The graphics are smooth and sleek. But, having taken apart hundreds of burrs - actual physical puzzles - doing it virtually is not quite the same. Nevertheless, we applaud the efforts of Frank Worrell and James Low for bringing interesting puzzles into this format. Let's hope that users will be turned on enough to start seeking out, and collecting the real McCoys. Trigee Color comes from http://istomgames.com/. Istvan Galos is the game designer. 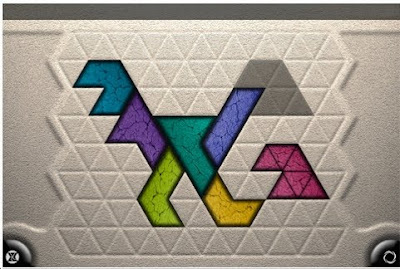 The object of the puzzle is to restore the colored triangular tiles to match the pattern given at the beginning. We've seen dozens of versions of this. The first came from Dough Engel & his circle puzzles in the 80's. Mad Triad is more recent. It was made in limited quantities because users weren't careful & they broke. Store owners refused to sell them after that. But it's a fine mechanical puzzle. Back to Trigee Color. It's essentially the same thing. Not so hard. However, one must memorize the correct pattern before solving. There is a free version, so download it. Note: this is not a great fabulous puzzle. However it certainly does not deserve the 1 & 2 star ratings that some 36 people gave. 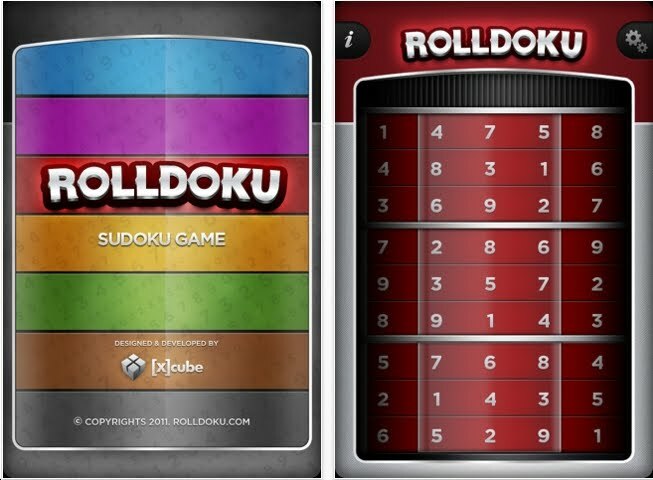 Download the Free version of Roll Doku & just try to do 1 puzzle. A solved Sudoku puzzle is wrapped around a cylinder. Then it is scrambled in a clever way: The rolls are shifted around horizontally. Furthermore, the rows are shifted up and down. Very tough! Yet each puzzle has 1200 solutions. 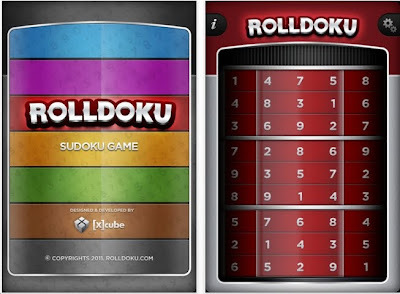 David Whitehead is the author and he boasts that Rollduko is 'the best sudoku app ever!' That's similar to many claims of 'the hardest puzzle in the world'. 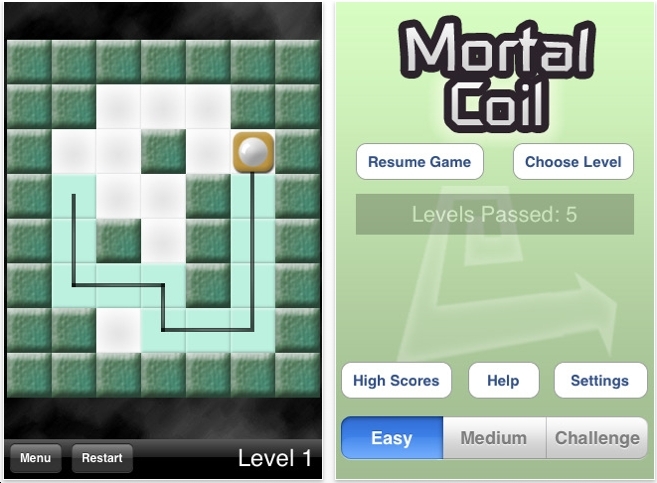 Puzzlers in the news: Scott Kim - cool puzzler. My favorite newspaper, the Wall Street Journal, has this interesting article about Scott Kim who's had a brain teaser column in Discover Magazine. ChessQuest is an interesting series of puzzles. There are about 25 puzzles, which I solved in about 15 minutes. Why am I so good at this? 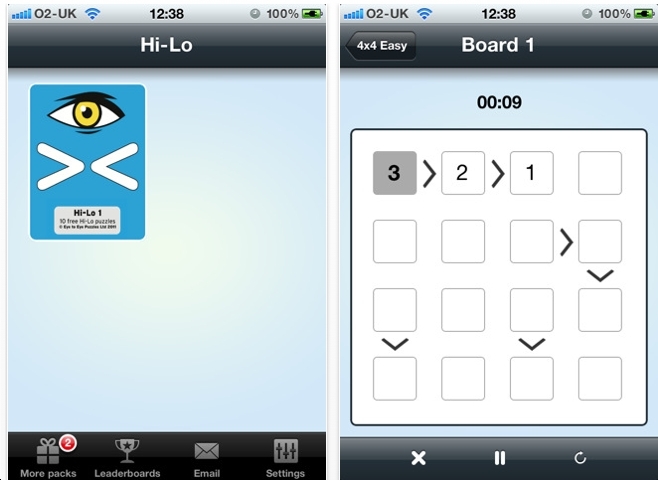 Because of another app called Solitaire Chess which is the exact same thing, but far better. ChessQuest is a little different in that there is a scoring system. A pawn taking a queen is worth more than a queen taking a pawn. Ignore that part of the game. 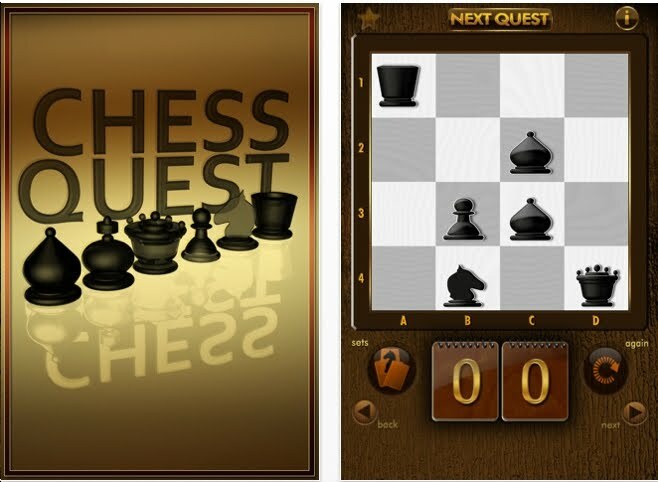 Go with the Real McCoy: Solitaire Chess, which is one of the best puzzle apps ever. And I'm not saying that because Vesa Timonen is a friend. It really is exceptional. Puzzle friends: I have received some 50 queries the past few days about why I have not posted in 1 week. 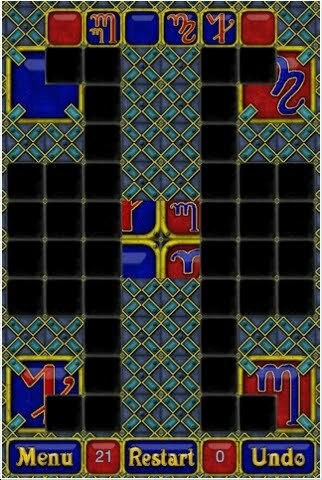 The reason: I have been consumed with a new puzzle app called Mystic Glyph by Staton Richardson. 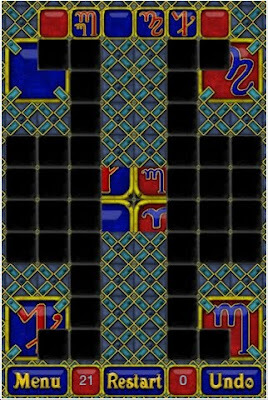 Mystic Glyph is a tilt maze puzzle. At least that's what I thought at first. Slide the tiles in any direction until they hit an obstacle. 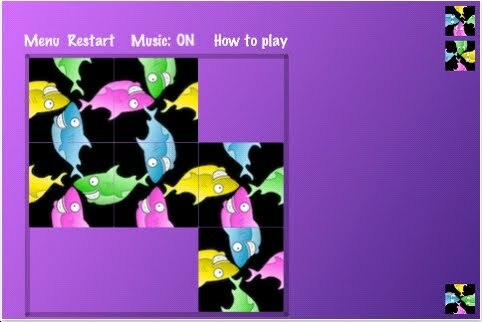 When sliding 1 tile, the other tiles will stay put. Join the 4 red corners to make a square. 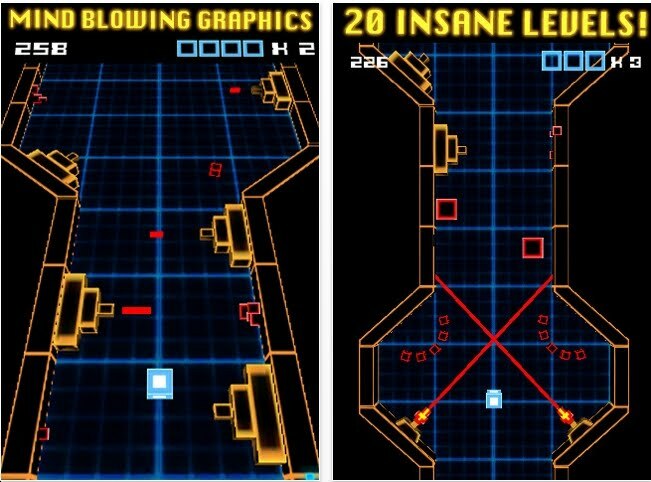 Beware: if your bottom right red corner connects to a bottom left blue corner - game over. There are 91 levels. 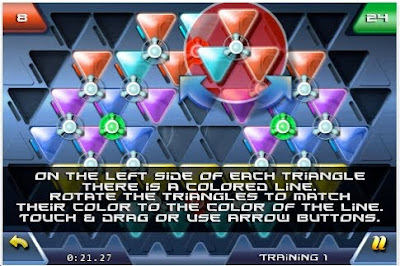 The first 15 levels are simple. Right now I've been stuck on level 72 for a few days. 2Bit feels like a 1970's arcade game. You are the little white square. You are always moving forward. 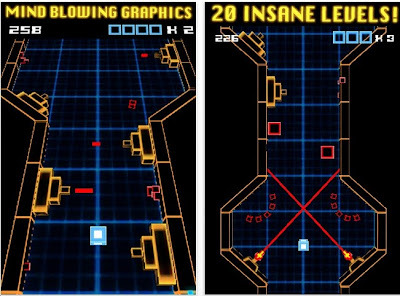 As you progress through the grid, try to avoid missiles, battering rams and whatnot. Drag your man backwards to slow him down & avoid these pitfalls. There's a Lite version. Take it out for a spin. 9 Cards is an edge-matching puzzle. Place the cards into the frame so that all the edges match. We've seen several hundred versions of this puzzle in all sorts of forms: rectangular grids, hexagonal pieces, 5x5, 7x7 and even 10x10. Nadav Solomon created this app. 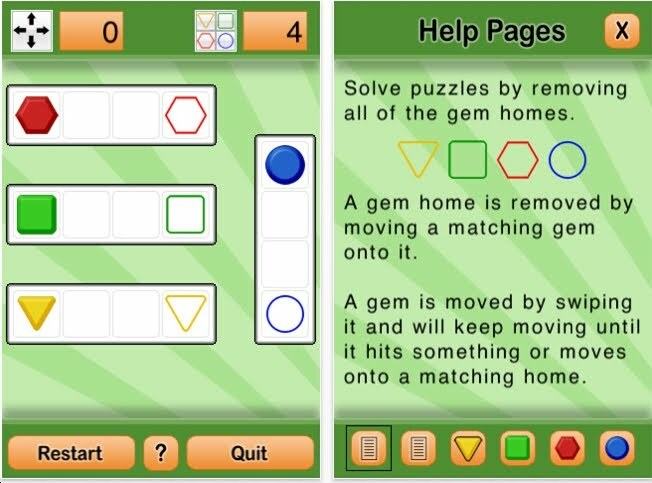 It's not the greatest puzzle app, but if you've never tried edge matching puzzles, go for it. Place the animal and food tiles on the various grids to avoid confrontation or eating. The dog cannot be next to the cat or the bone. The mouse cannot be next to the cat or the cheese. Keep the cat away from the fish! The 150 challenges will appeal to 5–year olds and College Mathematicians. Designed by Inon Kohn. This puzzle was made in a physical form about 5 years ago by FoxMind, a fine Canadian puzzle company. Get it too! 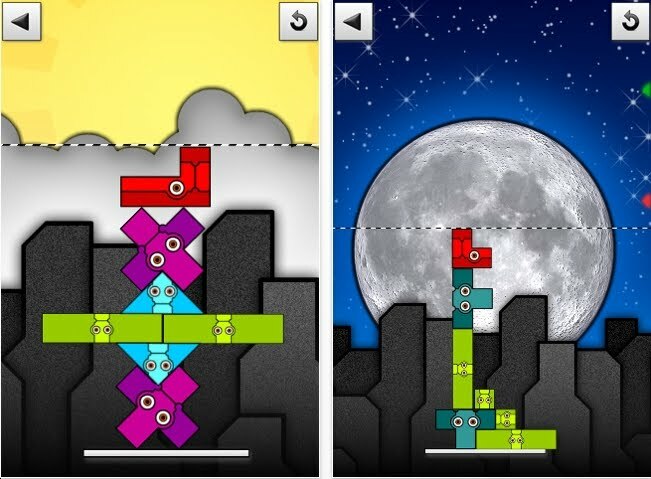 The app version differs from the physical box version: A tile must be placed on the angry ants - but not a food tile. 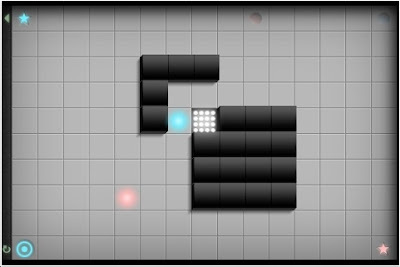 Free to download the first 15 or so levels. $2.99 for the rest.